The Sokolow Theatre/Dance Ensemble has an exciting series of summer performances coming up! After 20 years we are reconstructing Anna Sokolow’s Ride the Culture Loop. Originally choreographed in 1975, the piece captures the spirit of those turbulent times. Playful with her reference to the NYC Culture Bus, which was to bring the masses to New York City “cultcha”, the dance navigates through both the emotional and cultural tapestry of the era. Come join us on Governor’s Island! Ride the Culture Loop – CANCELLED!!! We will be performing as part of the the New York Transit Museum’s Vintage Bus Bash. The museum is bringing four vintage busses to the island for visitors to explore and has invited us to perform Ride the Culture Loop. 66-85 73rd Place/Metropolitan Ave, Queens, NY 11379 map it! 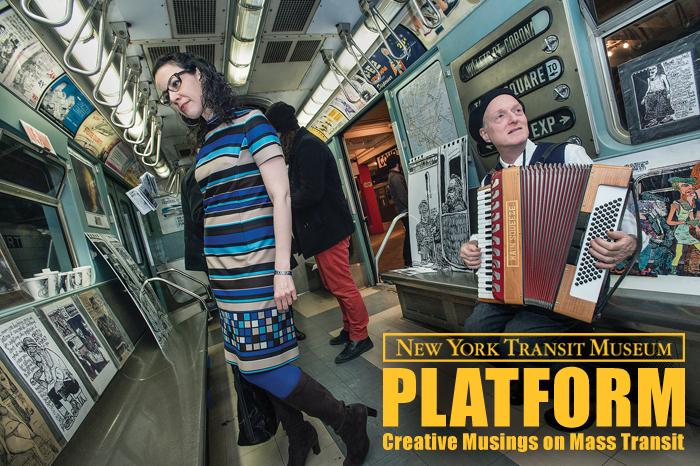 The Sokolow Theatre/Dance Ensemble will perform at PLATFORM, an evening of New York City transit inspired artists and performers. Anna Sokolow’s historic dance Ride the Culture Loop, originally choreographed in 1975, captures the spirit of those turbulent times. 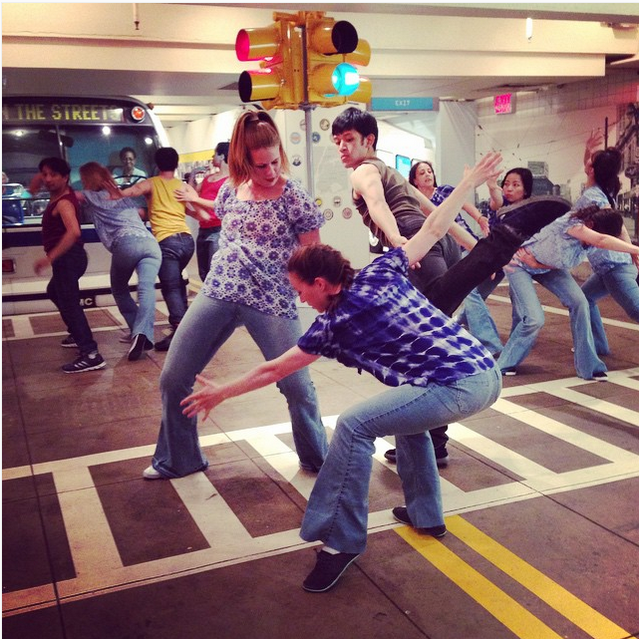 Playful with her reference to the 1970s NYC Culture Bus, which brought the masses to New York City “cultcha”, the dance navigates through both the emotional and cultural tapestry of the era. The New York Transit Museum is dedicated to the collection, preservation, exhibition and interpretation of the cultural, social and technological history of public transportation in the New York metropolitan region, offering exhibitions, tours, educational programs and workshops. The New York Transit Museum is located in the subway station on the corner of Boerum Place and Schermerhorn Street in Downtown Brooklyn.